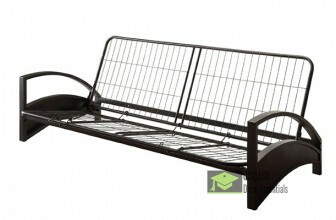 This full sized metal futon frame is perfect for your futon mattress. It's made out of metal and comes with stylish arm rests. It converts from sofa to bed. 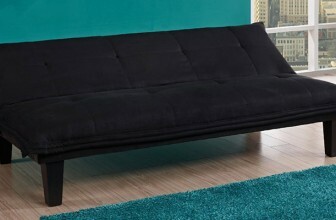 Microfiber upholstery for easy clean, Advanced Click-Clack Mechanism: ideal for sitting, lounging and sleeping, The futon frame and mattress are one piece. Check out these closet and space saving ideas and tips for your dorm room. For advertising opportunities go here.